It seems that the majority of property investors are more comfortable investing in residential properties compared to commercial properties. Most investors feel that they are more knowledgeable in the residential sector as more often than not investors have experienced residential purchases first hand. The majority of people would purchase a home to live in before purchasing an investment property. We also like to think that we have some knowledge about the region in which we live and the values of properties that surround us. But if I asked you about the value of the local fish and chip shop, where would you start? Being familiar with residential property does not mean you are ready to jump into the commercial world. The dynamics of the market are very different, prospective investors should make sure that they educate themselves prior to proceeding with a commercial investment. As always, when making an investment decision it is important to ensure that you are investing in the right property for the right reason. When we invest in residential property we should be looking for a property that appeals to both buyers and tenants. However on the other hand when looking at commercial property it is important to consider properties that will be in high demand from the business community both now and in the future. When deciding to invest in the commercial market it is important to first decide what type of commercial security you are interested in. There is retail, office, industrial and warehouse, infrastructure, hotels and also special purpose investments such as aged-care and child care facilities. Each of the different commercial categories have different variables that affect their performance and they will perform differently over time. If you decided on retail property, you would want to consider the outlook for the retail sector and make judgments on the demand for shop fronts and the effect of variables like online shopping. A prospective investor in warehouses would want to consider the demand for storage and the level of imports that are coming into the country. For offices, the rate of job growth would need to be considered. If looking at aged-care facilities Australia’s long term demographics, age specific lifestyle factors and government policy for the sector will need to be considered. Commercial property is valued differently from residential property and the rental yield is a critical factor in determining the overall value. Commercial valuers pay particular attention to the rental income and lease quality attached to the specific property. Future rental returns are dependent on the lease. As a result, lease arrangements play a central role in commercial property considerations. Standard leases are normally negotiated for 3-5 years with automatic rental increases written into the contract. Renewal terms are normally offered which helps bind good tenants to a property, providing more certainty to the owner. A long term consistent tenant with a long term lease will be worth more than an equal property with an inconsistent short term tenant. Ultimately, the decision to invest in commercial property should be based on one’s financial capacity and personal circumstances, and should be pursued once genuine independent advice is obtained. 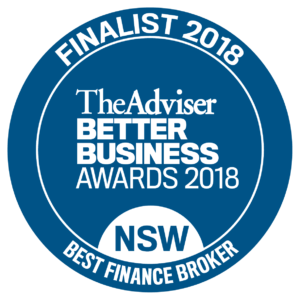 https://cleverfinance.com.au/wp-content/uploads/2018/05/new-logo-blue-final-300x188.png 0 0 cleverfinance https://cleverfinance.com.au/wp-content/uploads/2018/05/new-logo-blue-final-300x188.png cleverfinance2013-11-20 18:11:222013-11-20 18:11:22RESIDENTIAL Vs COMMERCIAL PROPERTY?